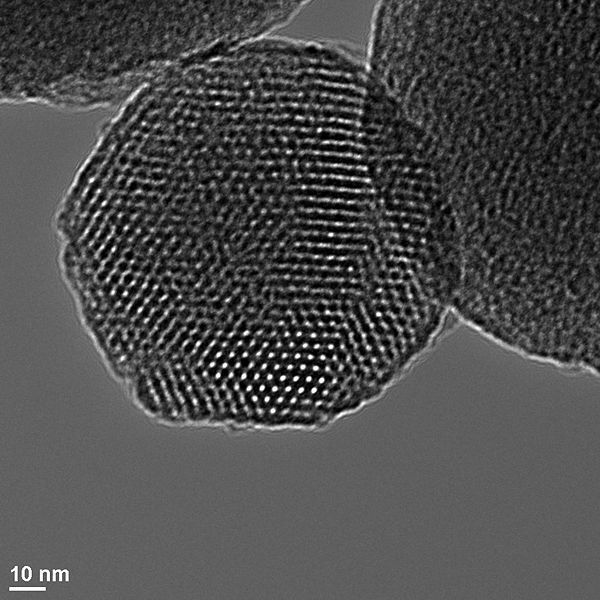 Nanoparticles are particles of nanometric size between 1 and 100 nanometres (1 nanometre is one thousand millionth of a metre). The scale is of the order of molecules. Nanoparticles have been used in all fields since the 1990s, and are appearing more and more in our everyday environment (in cosmetics, paint, electronics, information technology etc.). They could even be used in medicine where their job would be to deliver medication specifically to cells needing it, avoiding healthy cells, for example in the treatment of tumours. Mesoporous nanoparticles of silica could soon be used to deliver anti-cancer drugs to tumour cells. Credits DR.